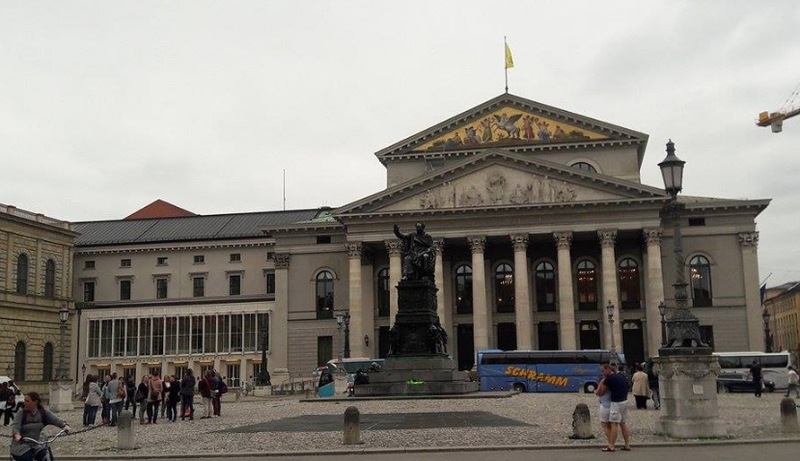 It was a long time since I traveled to Germany, and my last trip was to Berlin and Hamburg, although not for very long due to unforeseen circumstances. My bag full of clothes was stolen on an overnight train in France. And luckily I was holding my smaller bag that had my passport and valuables in my hand while asleep. Northern European cities can be chilly in summer too and it wasn’t great being there in summer clothes. So I didn’t stay long and headed south instead before flying back home, as I also wasn’t feeling great because of the theft and the not the happy events. (This was when I was a student). 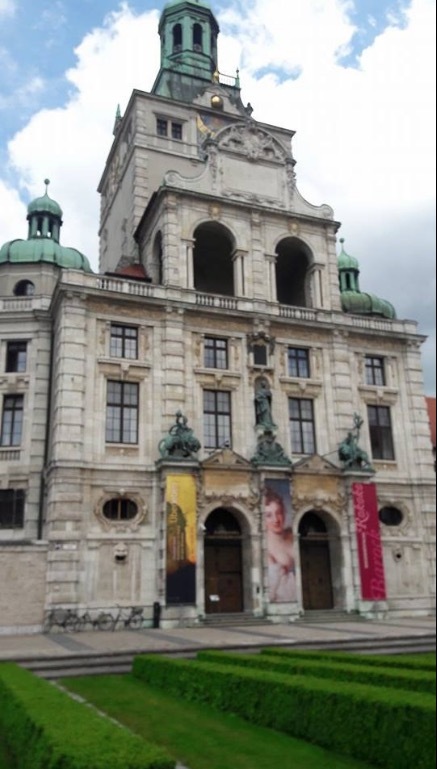 I had an interest in visiting Munich for quite some time. 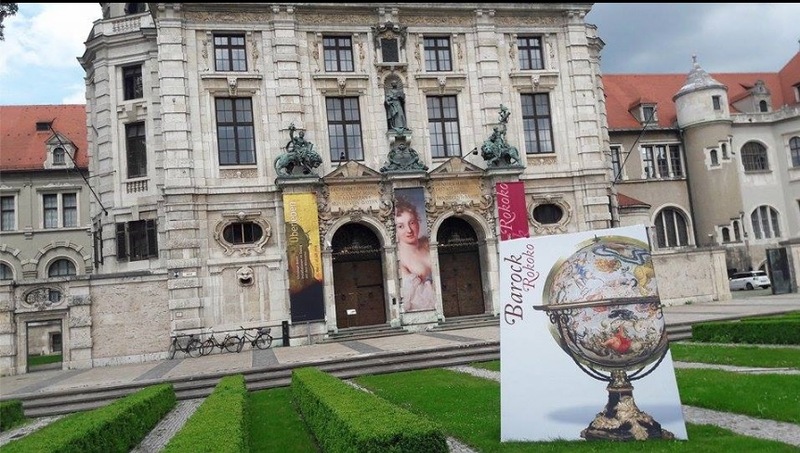 It may be because it is in Bavaria that I was even more curious about, and that it is different from the rest of Germany, that it has a more civilized image than other places, or because it is close to the mountains and there are beautiful landscapes around it. With this curiosity, I made a last minute flight booking and a four-night reservation on Airbnb just a few days before traveling. Luckily I found a very nice riverside room in the city center and after making a couple of train and bus reservations I got on the road. 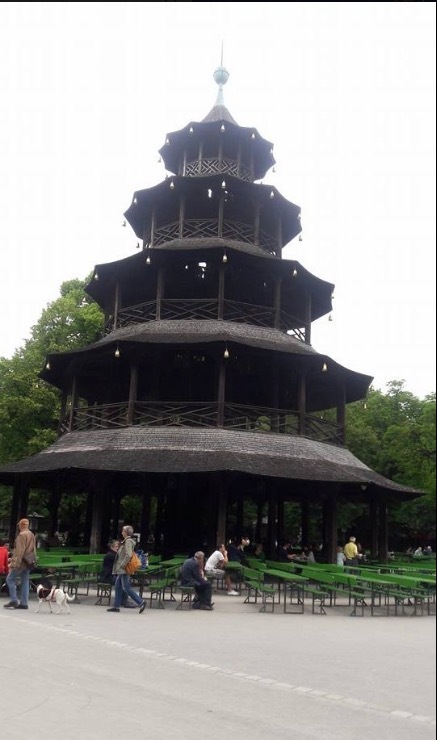 I actually had to go to Budapest and visit a friend that week but decided to do Buda a few months later. I was too busy with work for quite some time and had been a while since I left Istanbul. And when you go and visit one of the wealthiest cities in Europe, you can’t help but observe and compare it with Turkey. When I go to Spain or one of the Mediterranean countries, it doesn’t feel like I’m going abroad. There is still a bit of chaos of people and buildings and the culture is often not so different. Istanbul changed a lot over the last 15 years, it is a cleaner city but they also built a lot of massive high rises. And it has better infrastructure than before, but it is also even more crowded. The first things I noticed when the plane was descending to Munich were the roads, green everywhere, and the few beautiful buildings- historic and modern. Everything looked so proper, neat and in order and organized and I could tell even from the plane how calm and quiet Bavaria was as compared to Istanbul. This was a big contrast with back home. Munich Airport is the second busiest in Germany after Frankfurt and has an annual passenger traffic of around 42.5 million. After passing through the passport control at the airport, you basically have two options (train and bus) for getting into the city center other than taxi. There is two train- S1 and S8 S-Bahn lines that go from the airport into the city and they take totally different routes. Lufthansa Express Bus is your second option, it is quite comfortable and there is free wireless in the bus if you’d like to check your emails and messages. One way is 10.50 Euros and round trip is 17 Euros, with no date limit on return. A single train ticket costs 12.80 Euros and you can get a group ticket that covers up to five adults and this costs only 23.90 Euros. Two children between the ages of 6-14 are considered one person in total. Over 14 needs an adult ticket and is free of charge under the age of 6. We drove into the center of Munich through the tree lined roads and beautiful suburbs. The whole city looked wealthier and more civilized than most places I’ve been to (and this includes places like Sydney, Melbourne, and London). I was enjoying how pretty and green the surroundings were and how calm and quiet the city seemed, as compared to Istanbul. 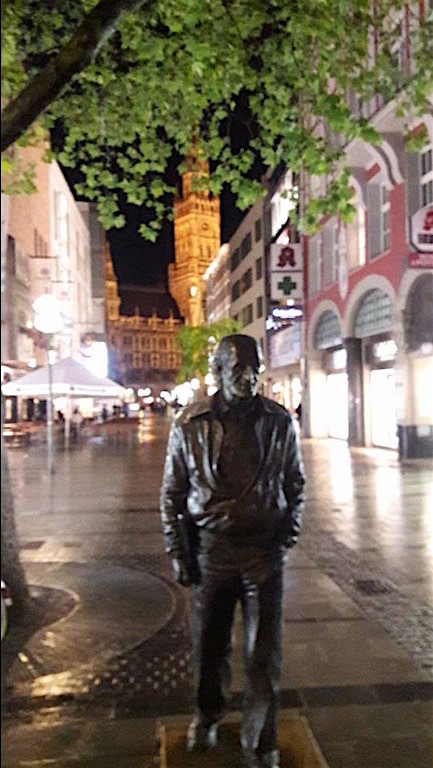 I got to Munich center pretty much on time and my appointment with the owner of the Airbnb flat on Erhardtstraße was an hour later and I was traveling light. So I had a bit of time to check out the city and the flat wasn’t far away. And I walked there slowly after grabbing something to eat and walked on some beautiful roads with lots of trees and historical buildings and a saw a couple of pretty parks too. 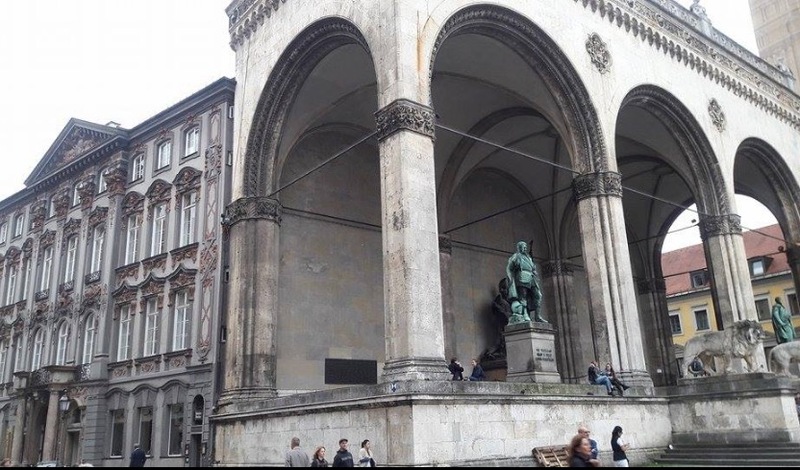 When it comes to architecture, German cities can not really be compared to Paris or Rome, and there are many modern buildings as most of the old stuff was destroyed during the Second World War. This doesn’t seem to be so much the case for Munich, though, and it’s got quite a lot of beautiful old buildings that I admired. Half the city was made up of green areas and it actually gave me the feeling of this mid-sized Bavarian capital was built in a huge park (I’m referring to the English Gardens) rather than the city having some parks. Munich is an expensive city, but this will depend on where you’re coming from. Munich is almost twice as expensive on average than Istanbul, but a cheaper city than London, Amsterdam or Sydney. But it didn’t really feel expensive to me, as pretty much everything I bought or ate was high quality. And it gave me the impression that it was well worth the cost. Some people may not agree with me about Munich as they find it quite boring. There are greater and more spectacular looking cities in the world, with much more happening and beautiful harbor or mountain settings like Cape Town, Istanbul or Rio de Janeiro. The thing about Munich is it felt quite liveable and no wonder it is often in top 5 or top 10 of world’s most liveable cities rankings. 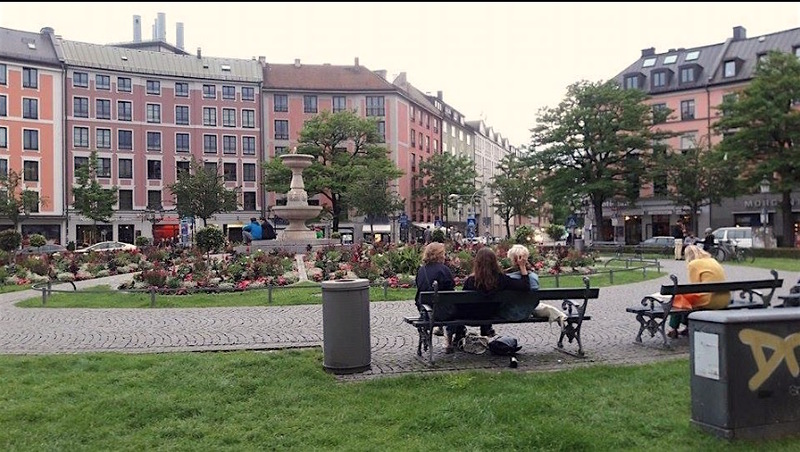 It is a very classy place and I could put easily in my top 3 cities in Europe, for the quality of life and vibe. 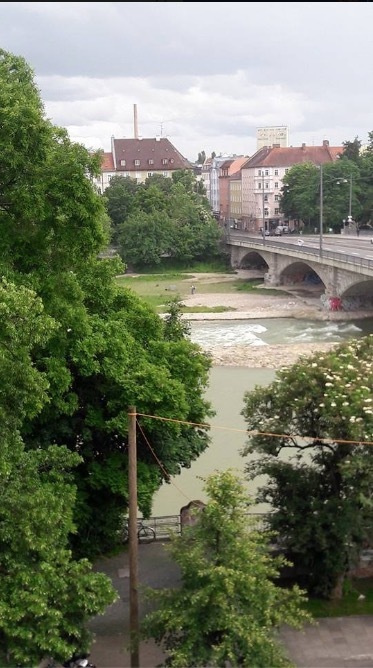 You really need to look at the surrounding areas of Munich, not just the city itself. You have the magnificent mountains in the south and west, plenty of beautiful places to visit in the German Alps and the Bavarian region. 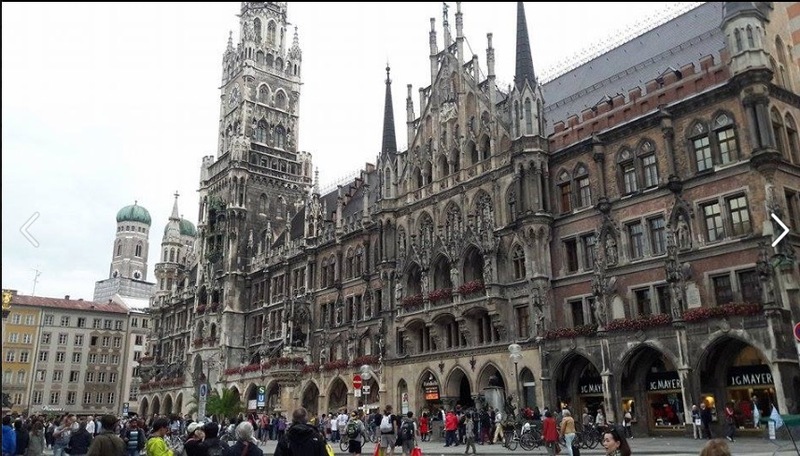 It has a very central location as you’re basically in the middle of Europe and from Munich, you can reach many places easily by train or bus. What are Germans and Bavarians Like? I saw a few beautiful looking people on the streets, both girls and guys. They do not have this ignorant facial expression that you may get in some parts of the world. They seem educated and well-dressed overall. I think the Germans are a bit cold in general, especially in Berlin where you come across quite a few rude people on streets and even customer service representatives, including the receptionist at the hotel, or staff at the airport. But at least they were fine when I asked questions on the streets. Munich is not as big as Budapest and probably doesn’t have the same grandeur in terms of architecture, but it is a very clean, rich and civilized city with beauty too. But I didn’t feel anything pretentious about it, like some cities that try to be something they’re not. Munich feels warm, sincere and genuine, rather than distant and cold, unlike its climate. 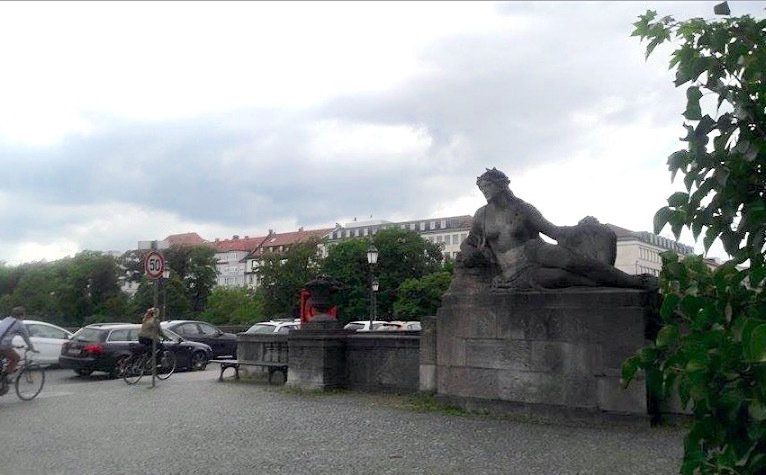 There are even nudist free zones in English Gardens and along the banks of Isar River :). It is a very bike friendly city and you see lots of bicycles on the streets. I got to the building on Erhardtstraße where I had the room reservation. And the German host arrived just after me. He was quite friendly and let me in, showed me a couple of things in the flat and went back to work. The room was spacious and had a beautiful river view. I felt lucky to have this even though it was a very late booking- booking only a few days in advance. It cost only 40 Euros a night, which is pretty good for Munich as even the youth hostels start at 30 a night. In Berlin, I found a three-star hotel room to 35 a night on my own. So if you’re on a budget and traveling with someone else and if you’re planning to get hostel rooms, just pay for a small hotel room for two and it will work out about the same. And you have the option to get a room from Airbnb. In the past, I didn’t like or feel comfortable dealing with different hosts with different kinds of attitudes. Racism was reported to be a big problem with many hosts around the world on Airbnb. If you came from one of the Middle Eastern countries, if you were black or of Asian origin you could have a harder time booking a room on Airbnb. What they were known to do was they told you that the room was not available, that they were away and forgot to correct it on the website. And ironically a few days later the room would still be available. And when you checked the reviews for these hosts, you would not see a single person from a minority group, especially not Muslims :). I even heard of a couple of hotels canceling reservations of people from the Middle East. I guess one could say it is their home and they can let in whoever they want? This seems to have changed these days by Airbnb having a lot more direct bookings- those that you can book without the approval of the host. I have also been using Airbnb more often. I find it more comfortable having a studio or a 1 bedroom flat than a hotel room. After a couple of hours of sleep, I got out of the house to purchase a couple of things I could not put in my hand luggage on the plane and to explore the neighborhood. There were a few nice cafes and bars open and these well-dressed young people were out and about. You will hear a lot of Turkish and see many Turkish people in Germany, and Munich has a large Turkish community. So you’ll find quite a few Turkish restaurants, doner kebab places and Turkish restaurants all over the town. I even heard the announcements being made in German, English and Turkish in a shopping mall. Beer is an integral part of life in Munich, so is the sausage. And this shows in the number of overweight or obese people on the streets, as well as the healthy and nice looking ones I mentioned earlier. This blog is not so much about what to do or where to go in different places. I talk about my own experience and holidays and it is mainly about how these destinations make me feel, pros and cons, what’s good and bad about them overall. Otherwise, you can find the information on the best attractions and restaurants on major travel sites easily. 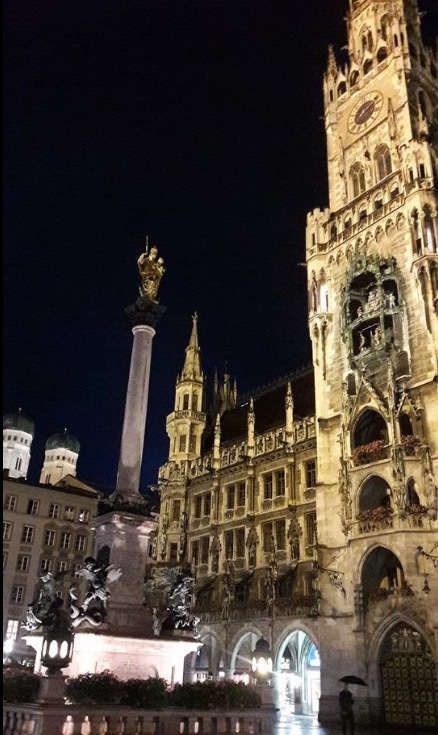 So if I go back to how I feel about Munich, it is an organized, calm, beautiful city that offers a high quality of life. And I like that this great life quality being available for most of its residents rather than a small percentage and the purchasing power of people is also quite high. 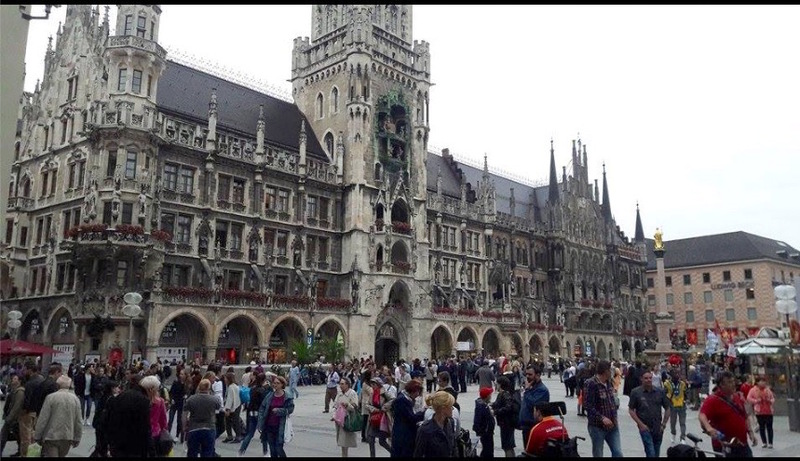 Munich is the center of many things in Germany, with a lot of job opportunities. I have to talk about German supermarkets here and my admiration for them as I do like cooking :). There is just so much variety with a great range of good quality products even in the small Lidl and Aldi supermarkets. Pasta, meat and most things that you buy at the supermarkets taste better than a few countries I know. Even instant coffee is better here, not that I’m a fan of them. British supermarkets are good too, but not so much Spanish or Turkish. I haven’t had much Turkish food in Munich, other than doner kebab at Royal Kebabhaus at the main station. It is interesting that it costs less here and the taste of Turkish doner is better than most I had in Turkey because meat is better in Germany. Germans are very good at baking cakes, and if you have a sweet tooth you’ll have a ball here as there are superb tasting cakes and pastries at cake shops or even at the supermarkets. Alcohol is very cheap when it is a highly taxed item in Turkey with the current government. If you wish to try something from the traditional Bavarian or German Cuisine, Munich is not bad at all. Among the things you will want to try here are pretzels, white sausages with mustard on the side, beer (50 percent of the country’s beer production is here in Munich and they just drink a lot of beer), apfelstrudel, which is a kind of a pastry with apple filling, and sauerkraut (a kind of cabbage pickle). Among the major attractions in Munich are the English Gardens, Bavarian Sculpture, Asam Church, State Opera House of Bavaria, St. Peters Church, the Olympic Park, BMW Museum, Frauenkirche- The Cathedral Church of Our Lady, Nymphenburg Palace, Munich Residenz, Cuvilliés Theater, Michael’s Church, Munich National Theater, Theatinerkirche St. Kajetan- Church, Königsplatz, and Neues Rathaus- The New Town Hall. 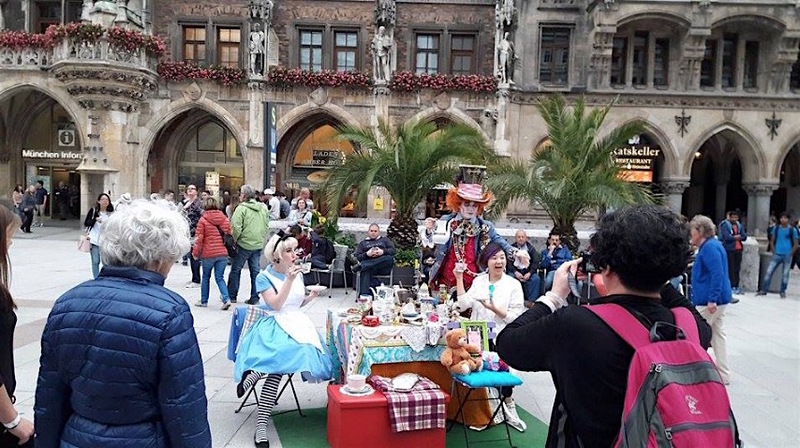 The main city center is in Marienplatz, where you also find the tourist crowds, and the famous Vikutalienmarkt is nearby and you certainly need to experience it. 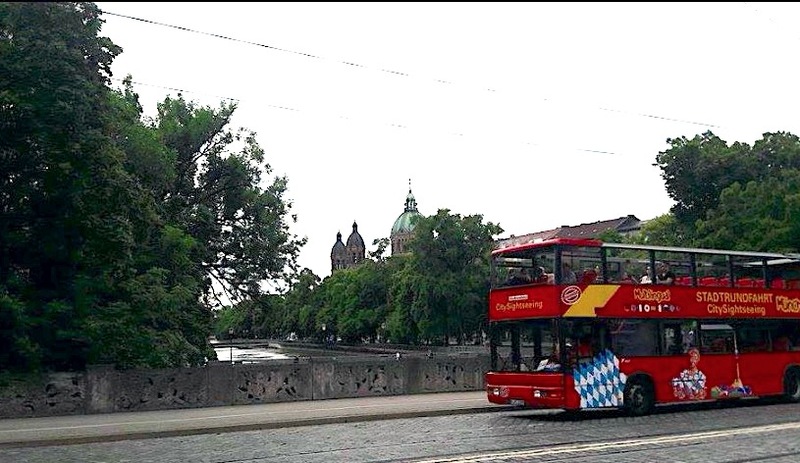 I stayed in Munich for just four nights and went on day trips on two of these- to Nürnberg, Salzburg and German Alps. Cities often have personalities and vibes that either pull you to themselves or push you away. 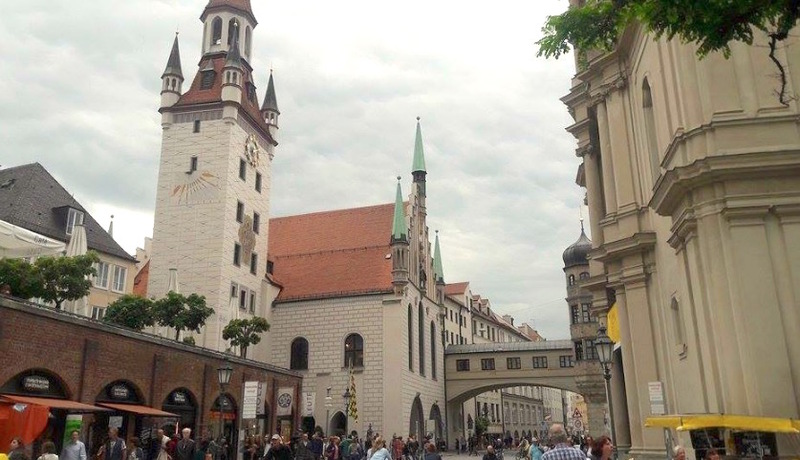 Munich is a very special city for me, and I got a very positive energy from it. It was kind of sad to leave and I would like to return soon, to stay and experience it more.